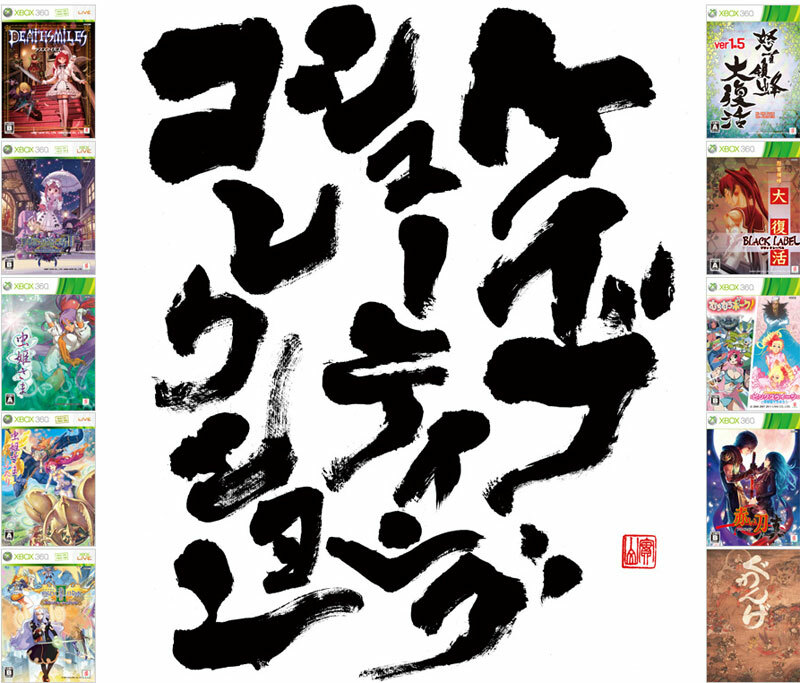 A quite unbelievable bumper pack with nine shooting games in: Death Smiles, Death Smiles II X, Mushihimesama, Mushihimesama Futari, Dodonpachi Daifukkatsu, Dodonpachi Daifukkatsu Black Label, Espagaluda II, Muchi Muchi Pork & Pink Sweets and Akai Katana. It also includes a token serial code for downloading arcade game Guwange (delightful looking, historically set in traditional Japan, scrolling shooter) to be downloaded plus an install disk with all the downloadable contents for the shooting games. 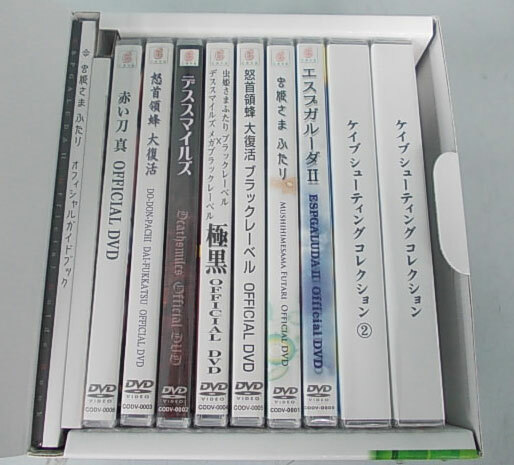 Then there are the DVDs, seven in all with footage and hints for: Death Smiles, Mushihimesama Futari, Mushihimesama Futari and Death Smiles, Espagaluda II, Dodonpachi Daifukkatsu, Dodonpachi Daifukkatsu Black Label and Akai Katana. 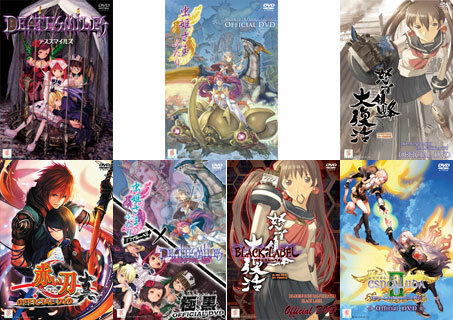 Espgaluda II and Mushihesama Futari also have guide booklets. Finally the bonus, preorder soundtrack collection is included. Brand new. Cero 15. Last one. Has a small dent on one bas corner of the box suffered in transit. Not too bad. But we'll pack it well enough to ensure its the only small dent. Only available for registered dispatch (Signed For) overseas please. Please note the Soundtrack preorder bonus gifts are now here. Please also note the games may well be in a fold out CD holder as opposed to the full covered releases seen in the shots. The DVDs have are individually packed in individual cases with covers however as seen. Reviews for most games on site.